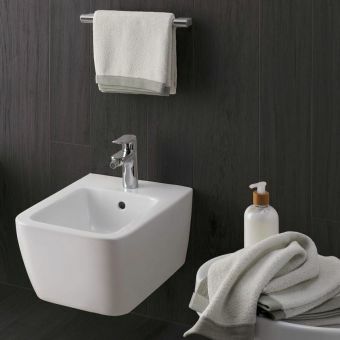 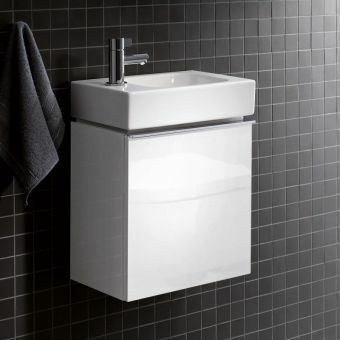 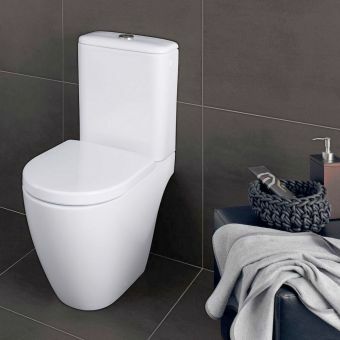 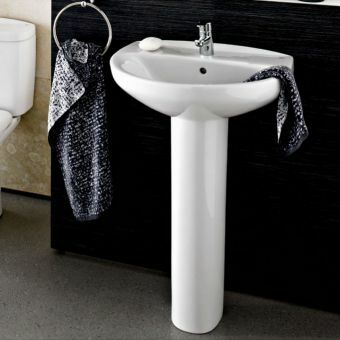 The modern, linear style of the Geberit iCon 120cm double washbasin offers spacious convenience in any bathroom. 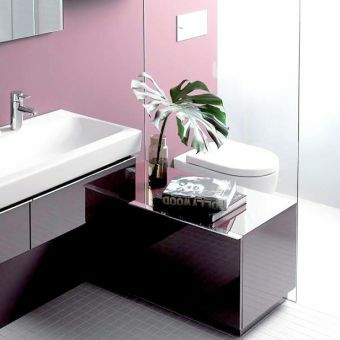 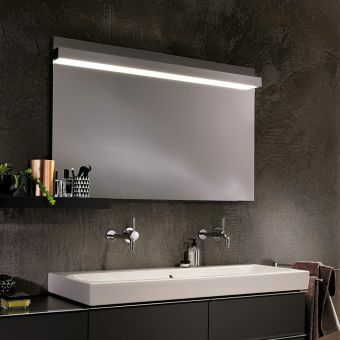 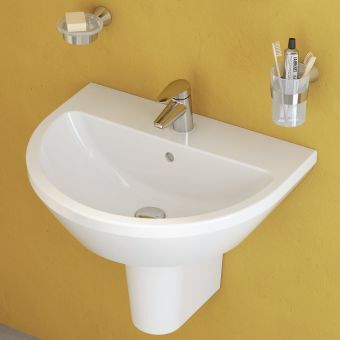 Made of permanently fired glaze, the smooth surface of the basin is utterly pore-free, giving the ceramic a glossy, satin-like sheen that is not only hygienic but adds a sense of light to the room. 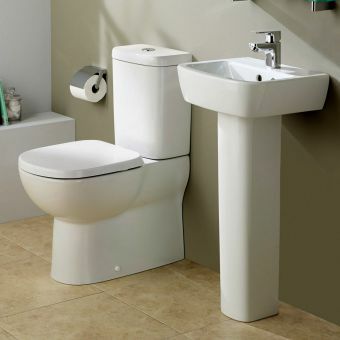 With generous proportions, each basin provides a good amount of fill, ensuring absolute comfort for all of your ablutions. 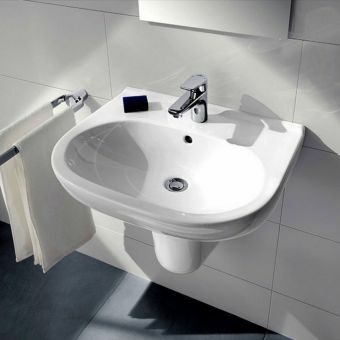 The length of the basin offers as much space as possible, without compromising on build quality or design. 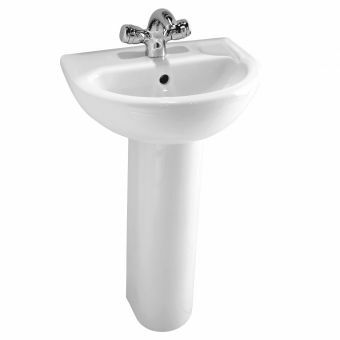 Two people are able to use the basin with ease and without knocking elbows. 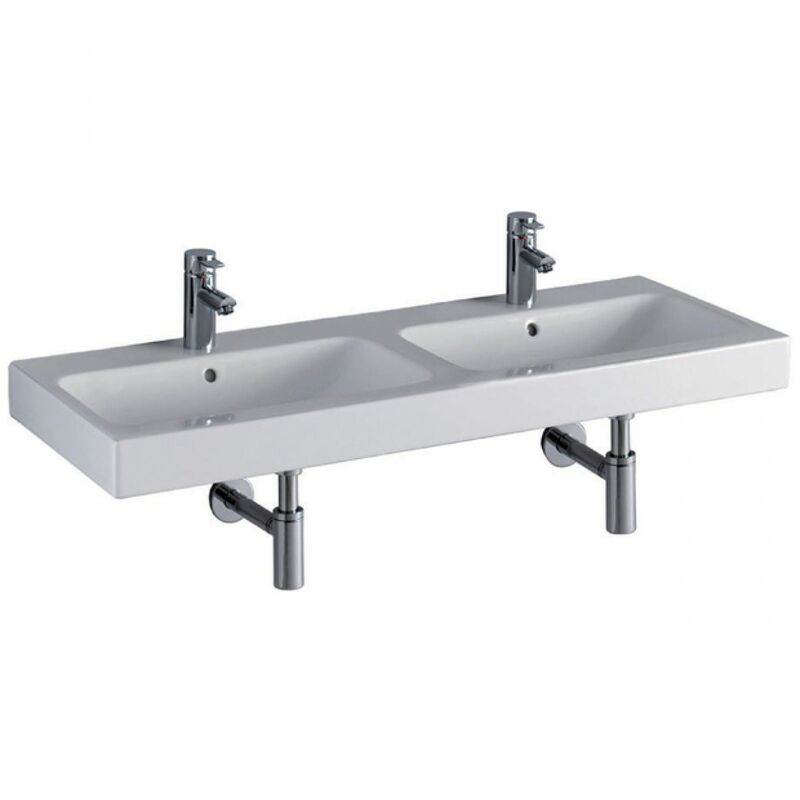 The basins are cast with a solid surround and wide back shelf and is supplied with two pre-drilled tap holes. 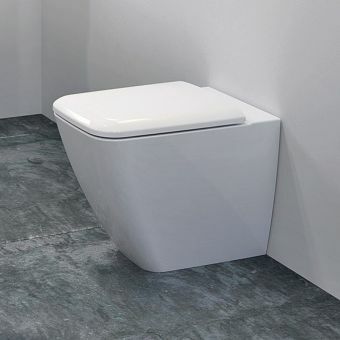 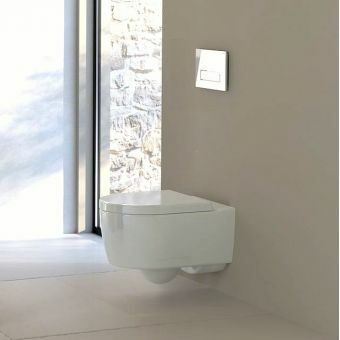 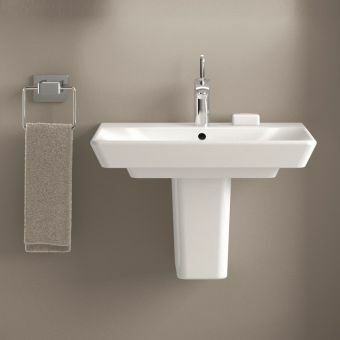 Available in Alpine white, the basins measure 120cm wide and 48.5cm deep. 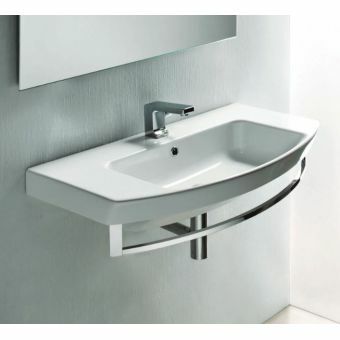 In addition, this gracefully contoured basin can also be combined with a matching iCon vanity unit to add additional storage to your bathroom. 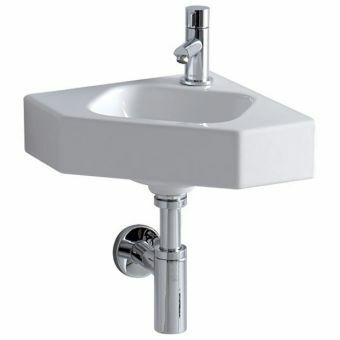 An overflow is supplied for each basin.